Elevator Riders Riding Club - Elevator Riders RC 2013 Poker Run "EESF"
Elevator Riders RC 2013 Poker Run "EESF"
2. 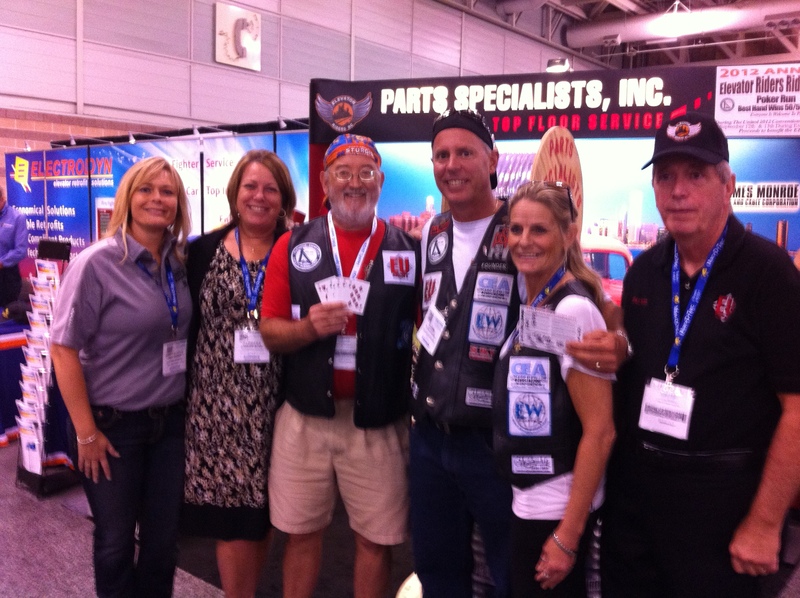 Visit EESF Booth 0518 and get a playing card. 3. Visit C.J.Anderson Booth 1029 and get a playing card. 4. Visit Elevator World Booth 0511 and get a playing card. 5. 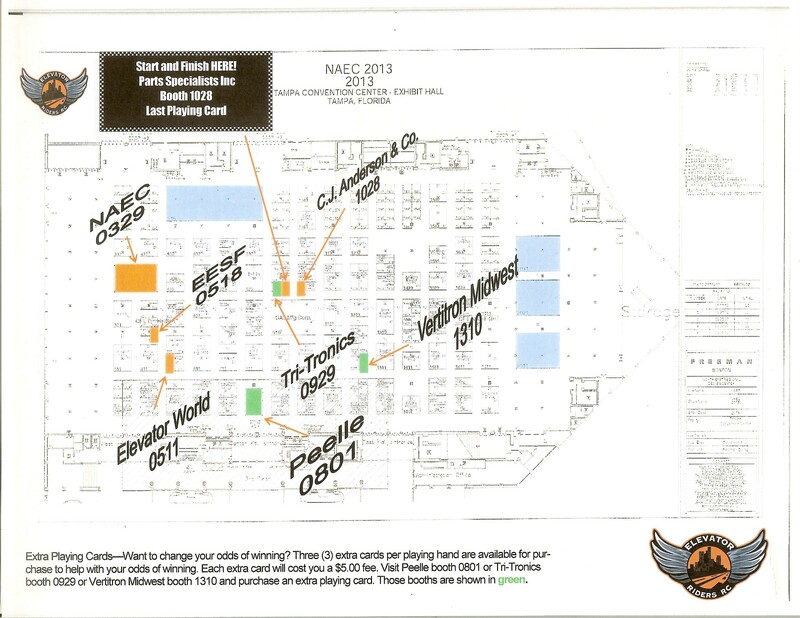 Visit NAEC Booth 0329 and get a playing card. Want to change your odds of winning. Three (3) extra cards are available for purchase to help with your playing hand. Each extra card will cost you a $5 fee payable at the following. 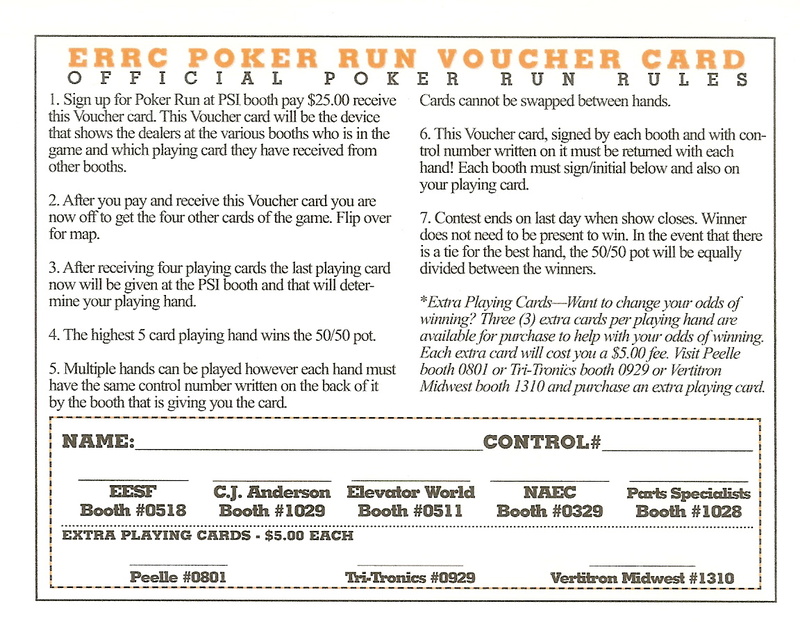 Visit Peelle Booth 0801 or Tri-Tronics Booth 0929 or Vertitron Midwest Booth 1310 for a Extra Card Draw. 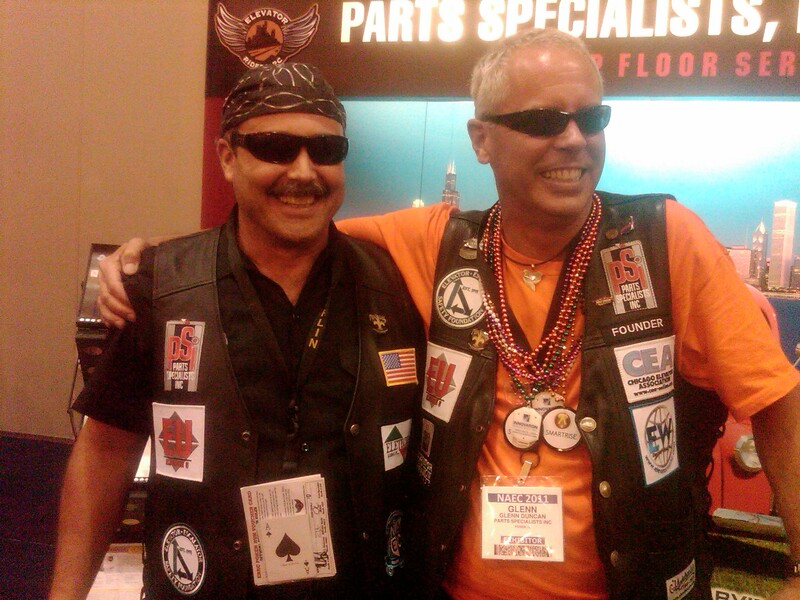 · Return to Parts Specialists Inc. (PSI) Booth 1028 with four (4)playing cards as well as the Voucher card and get your last playing card to complete your hand.